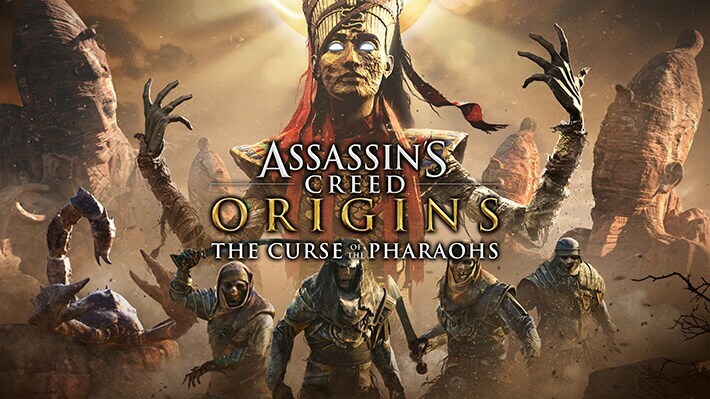 Assassin’s Creed Origins: Curse of the Pharaohs is live! The final DLC for Assassin’s Creed Origins, Curse of the Pharaohs, is live today! I was the lead writer on this extravaganza set in the ancient capital of Egypt, Thebes, forcing Bayek to face new foes and Pharaohs who seem to have risen from the dead. Enjoy hours of new content, including fantastic locations, weapons, and battles that expand what you’ve already enjoyed in Assassin’s Creed Origins. If you have a season pass, you can download it straight away, or you can purchase it for the low, low price of $19.99. Congrats to the team at Ubisoft Sofia on the launch, and hope everyone enjoys playing it!